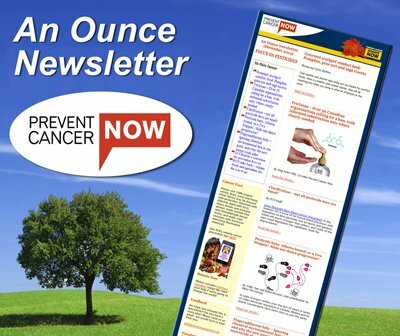 Prevent Cancer Now » Support Prevent Cancer Now Today – We Need You! As a monthly donor, you will receive a copy of Cancer: 101 Solutions to a Preventable Epidemic. You can also donate in honour or in memoriam of a loved one, pay tribute to someone special, or recognize a special day. PCN will send a personalized email or card via the mail letting them know of your thoughtful gift, and will post your tribute on our Wall of Hope, if you like. To donate simply visit our secure donation website (powered by Canada Helps) – it only takes a few minutes to make your contribution. Note: Charitable receipts for tax purposes will be issued in the name of PCN’s sister organization, the charitable Hills of Erin Cancer Prevention Foundation. You can donate to Prevent Cancer Now’s advocacy work by mailing a cheque or money order to our office (our address is below). Note: Donations for advocacy are not eligible for a tax receipt due to Canada Revenue Agency rules. For details see: Why Donate to Prevent Cancer Now’s Advocacy Work? Thanks for your consideration. We hope you will make a donation today!